Used for centuries by rural people in Japan to mend and repair clothing, Sashiko evolved into a decorative yet thrifty way to reuse and recycle fabric. This everyday practice was deeply tied to the values of Mottainai- translated simply to, “don’t waste”. 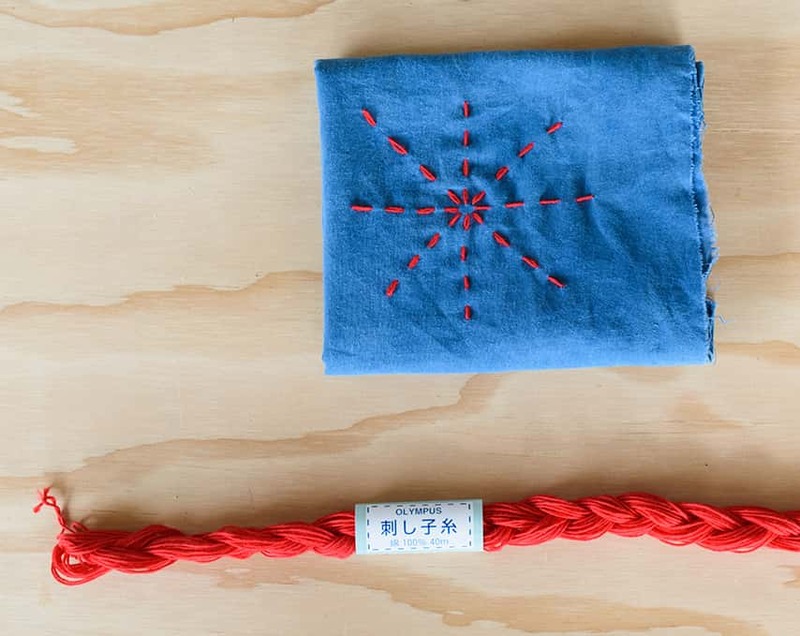 In this one day intensive we will begin with the basics of sashiko stitching. Tools, patterning techniques, historical context, and basic construction processes will be discussed. Students will leave class with their own sampler of basic stitches and all the needles and thread to continue their new crafting skills at home.